Check every box! This renovated 4 sided brick home is absolutely beautiful! New kitchen features Carrara Quartz countertops, brushed gold pulls, SS appliances, tile backsplash. Master bath features barn door opening into new bath w/ tiled shower and new vanity, lighting, toilet. Hall bath has Quartz counter and new Dual Sink vanity, tiled shower. Living room features stained wood ShipLap focal wall! Stained Hardwood floors throughout. 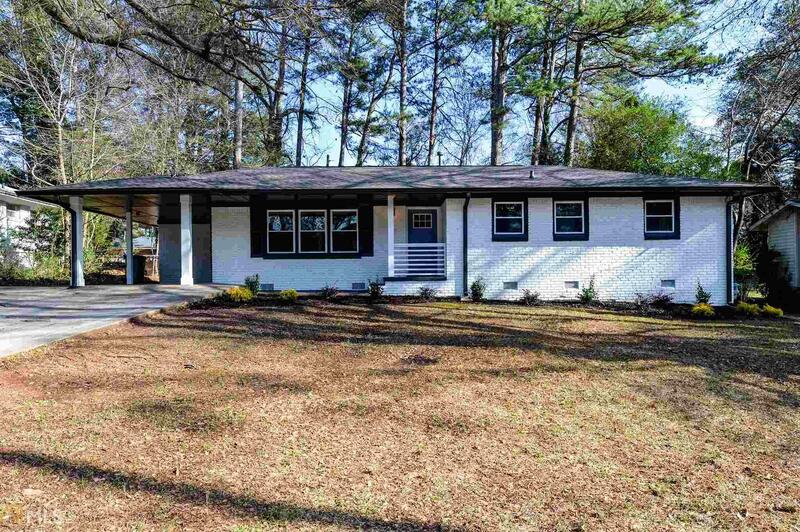 New ROOF, WINDOWS, DOORS, FIXTURES, LIGHTING, New back deck- All of this in HOT Decatur. Move in Ready!